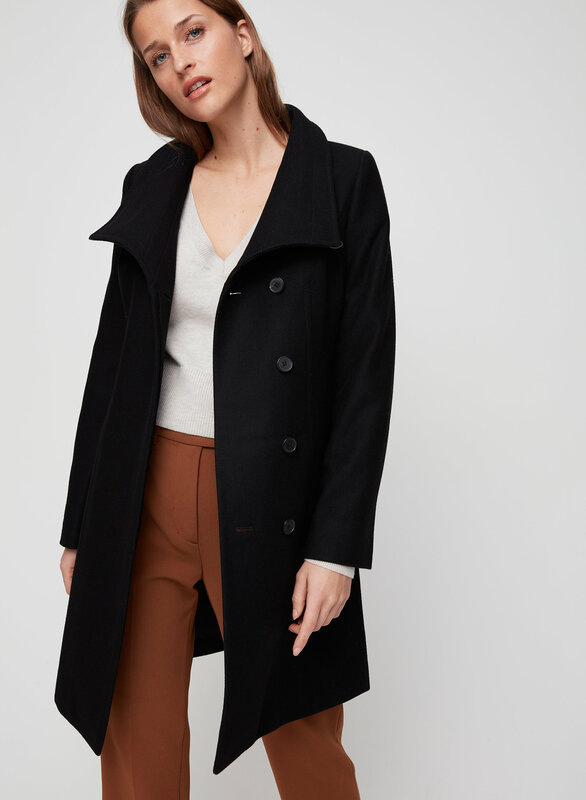 Babaton's signature peacoat made with a warm Italian wool-cashmere blend. Contoured seams lend a structural feel, while precision tailoring creates a flattering silhouette. This jacket is a good fit but attracts a lot of dust and hair! I bought one from the store and then the sales person mentioned I can get a new one from the warehouse. So i ordered another one online hoping the one from the warehouse was better. When i received it, the wool was a bit better but still attracts a lot of lint. 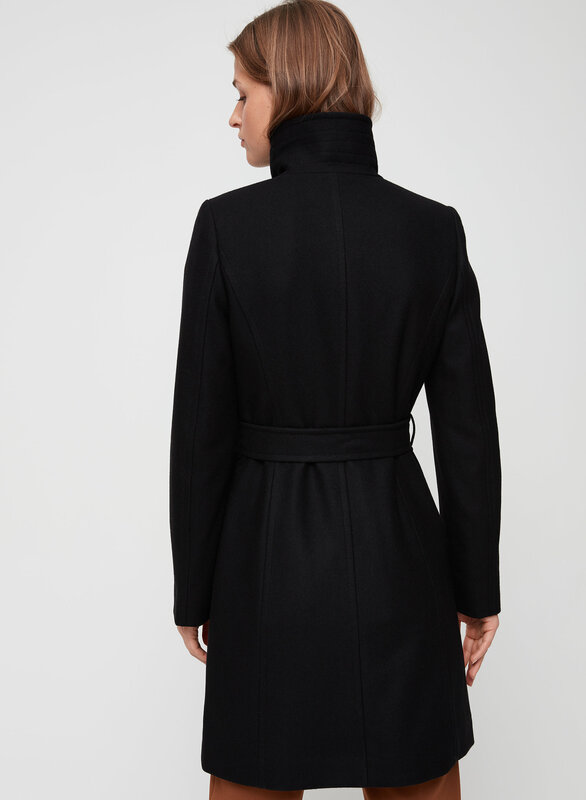 The coat is beautiful but the buttons aren't easy to do up as the button holes are very small. I love this classic coat. I am small breasted and the extra small looked a bit better than the small on me but I could do the buttons up and it was tight in the arms so the small was the coat for me. I really like the fitted lines and the warmth against the cold weather. It’s really nice but not too warm! Favourite coat for this winter ! Love the colour fit and style..
Can't wait for warmer weather to wear it every day! 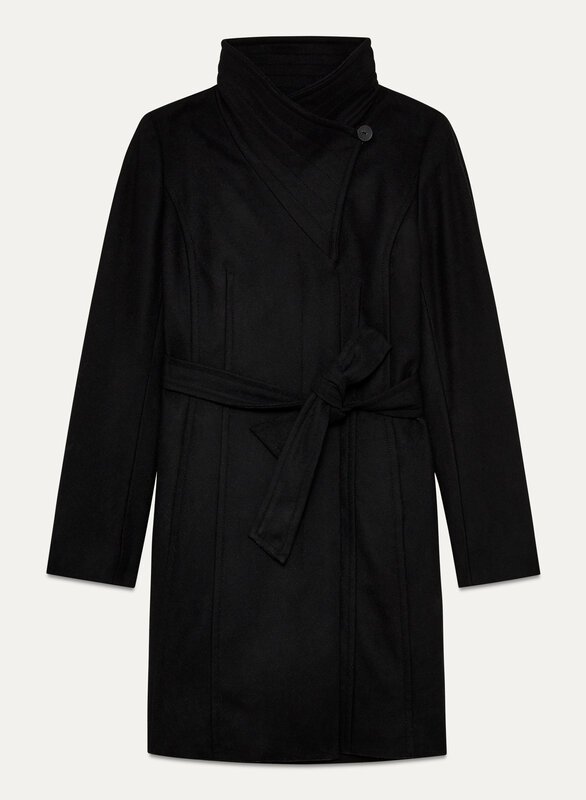 Very classy looking coat made from soft fabric. You can get multiple looks from it depending on how you tie/button it. It's a bit cold for current Montreal weather but it's good for -3 and above as for me. Be careful though because it fits larger. I usually wear a S but had to exchange this for M. It's super cute- not too heavy but definitely warm enough for work wear/city wear. Really great material and excellent wrap tie. Love the high wrap collar! This is a really good coat. Love this coat! So chic! bought this coat in 2014, they've changed the style a tad, it now has more buttons along the side. i've worn it every winter for the past 4 years and it still looks new. no pilling whatsoever, minimal shedding from fuzzy sweaters. makes any outfit more elegant, and WARM despite its weight (mine is wool/cashmere blend). one of my all time favorite aritzia purchases. get it, you won't regret it. The material is so luxe! This coat is perfect for the winter. It keeps me warm and looking good at the same time. It fits a little loose on me and goes down to my mid-thighs. I’m 5’5” 32-24-36 and purchased the XXS. This coat is gorgeous and warm! Good lifetime investment!